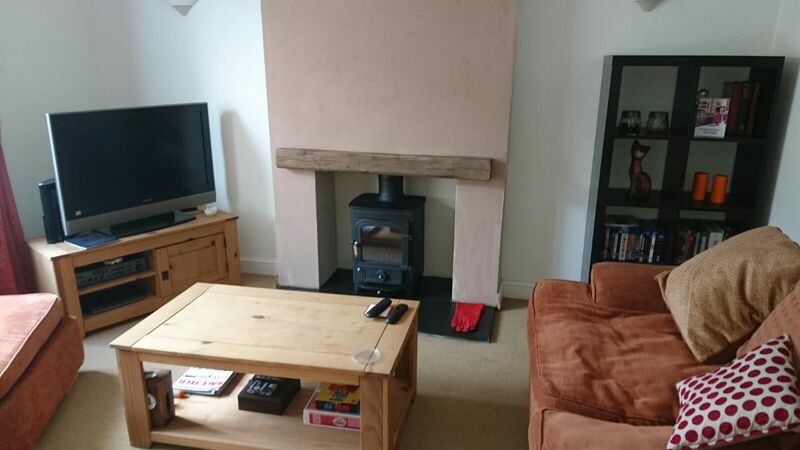 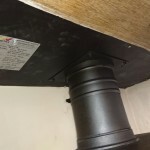 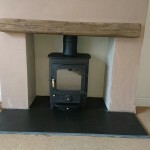 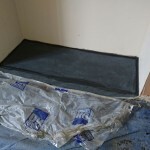 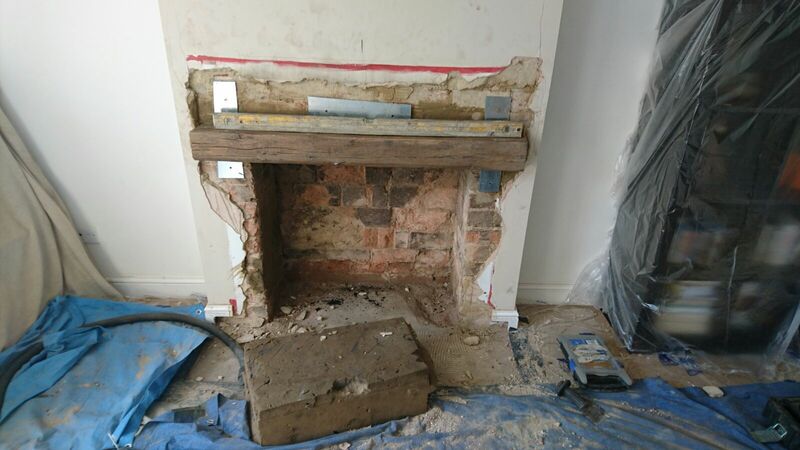 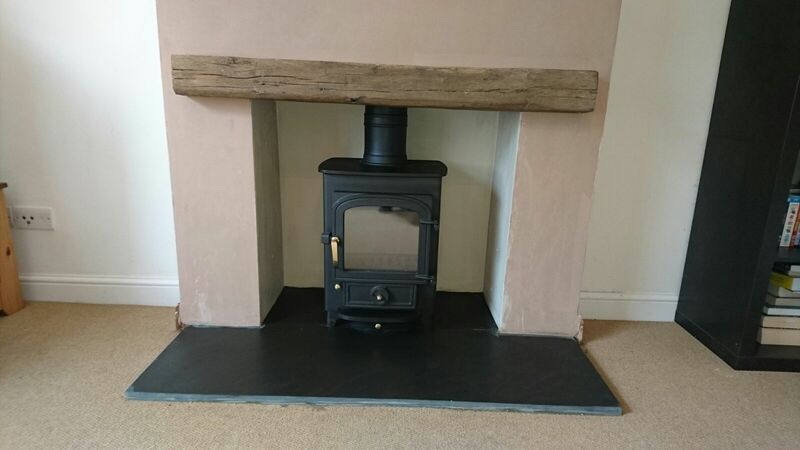 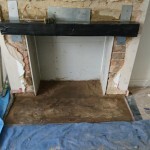 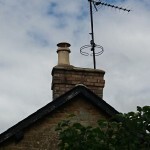 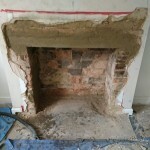 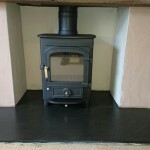 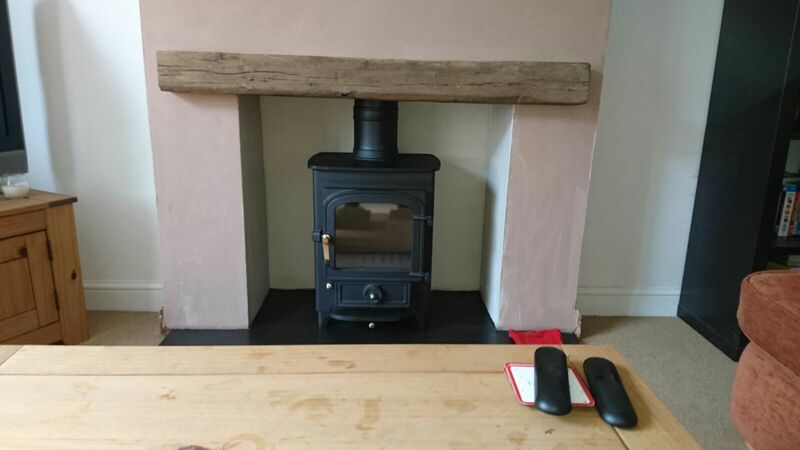 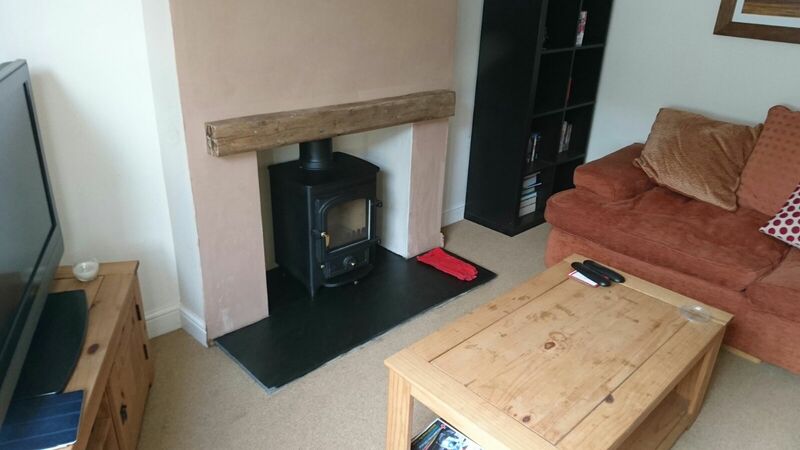 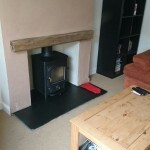 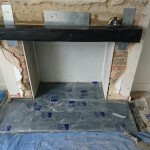 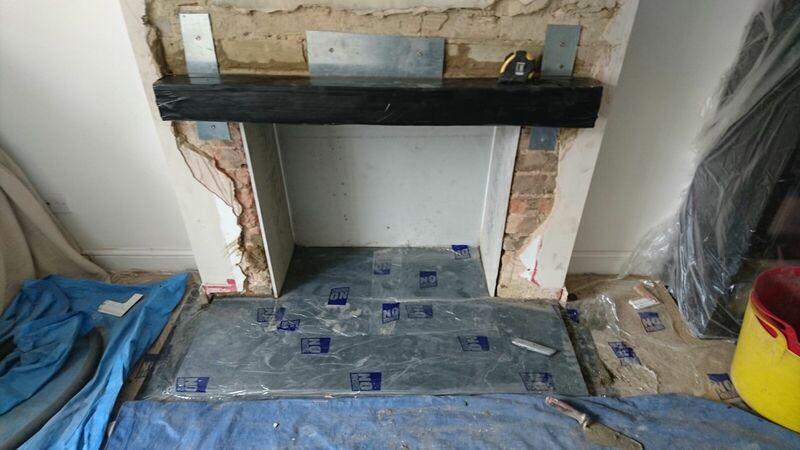 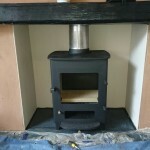 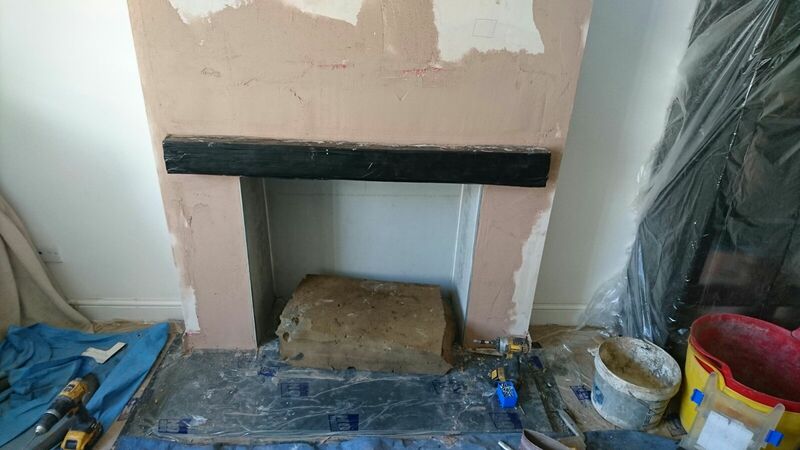 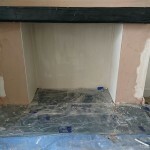 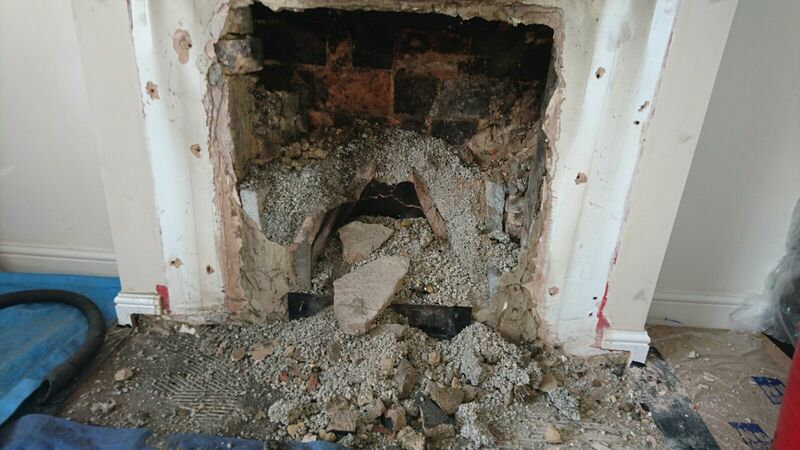 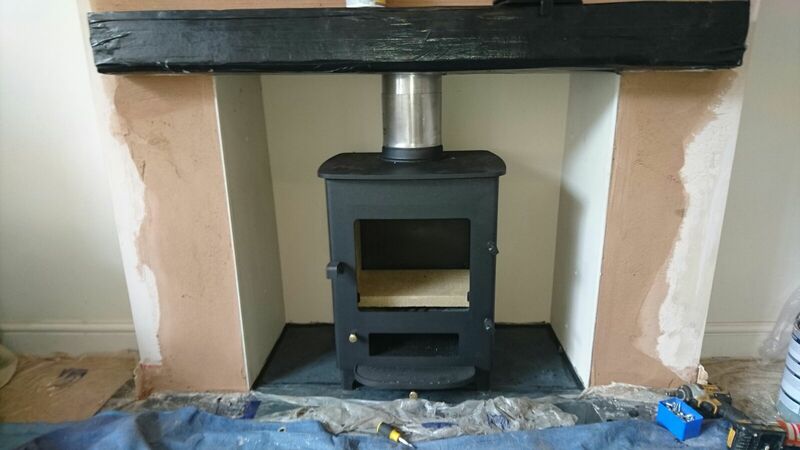 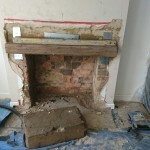 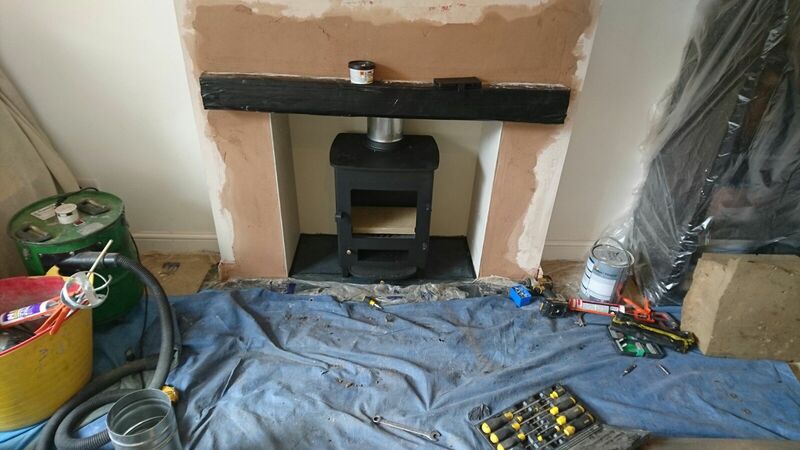 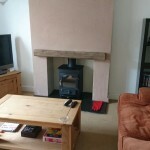 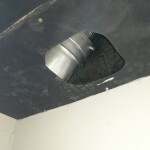 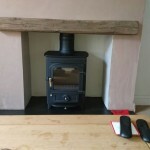 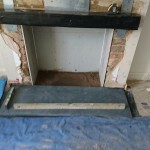 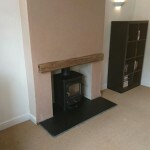 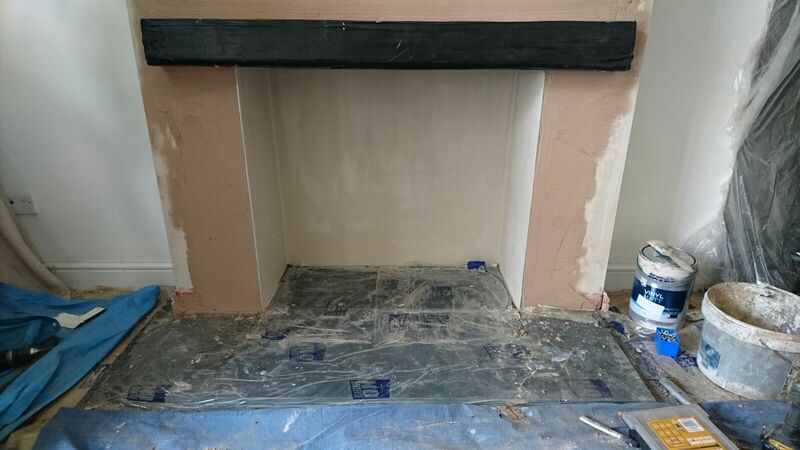 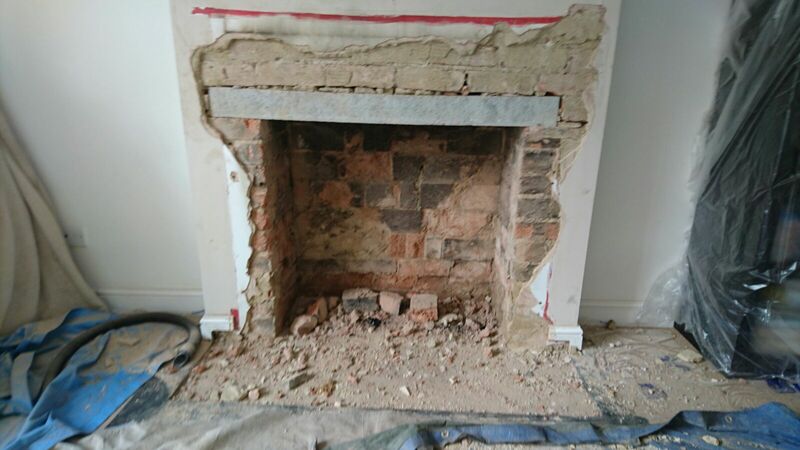 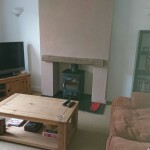 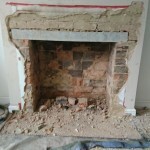 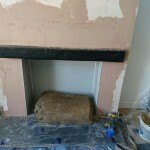 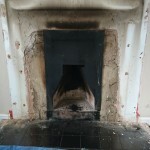 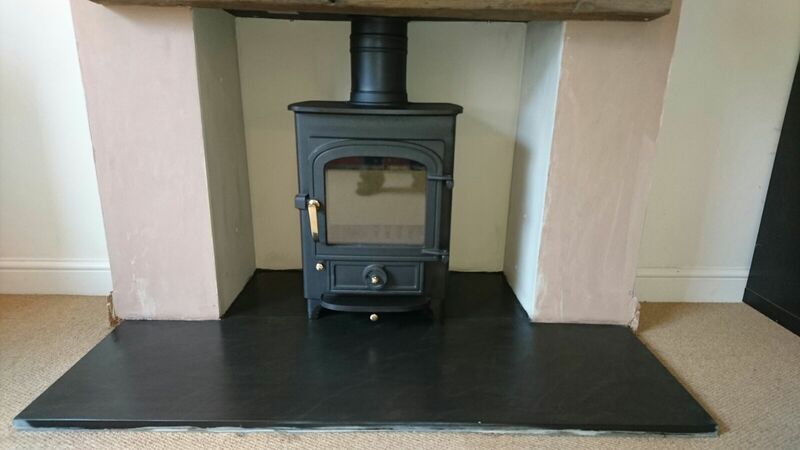 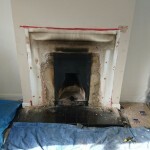 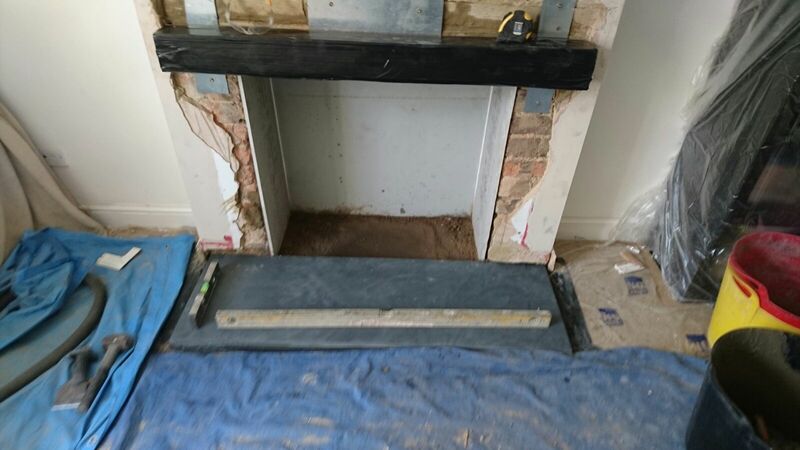 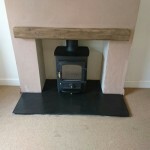 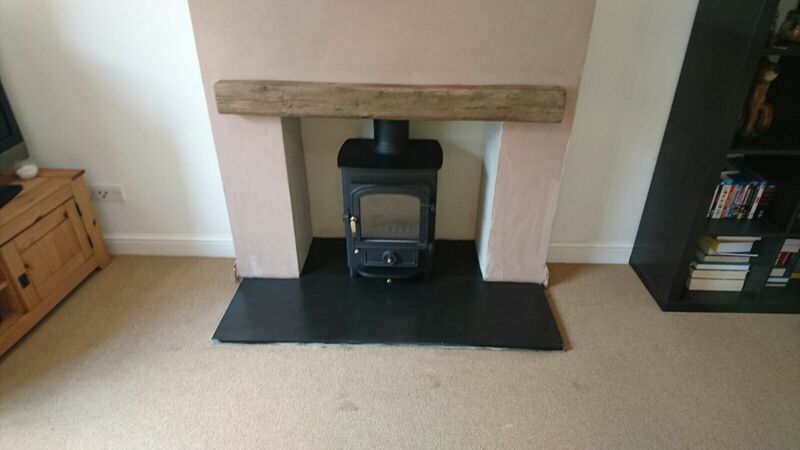 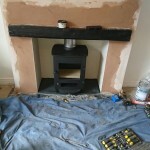 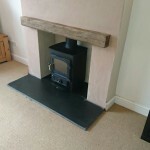 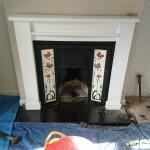 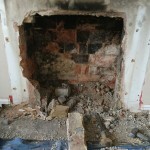 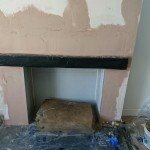 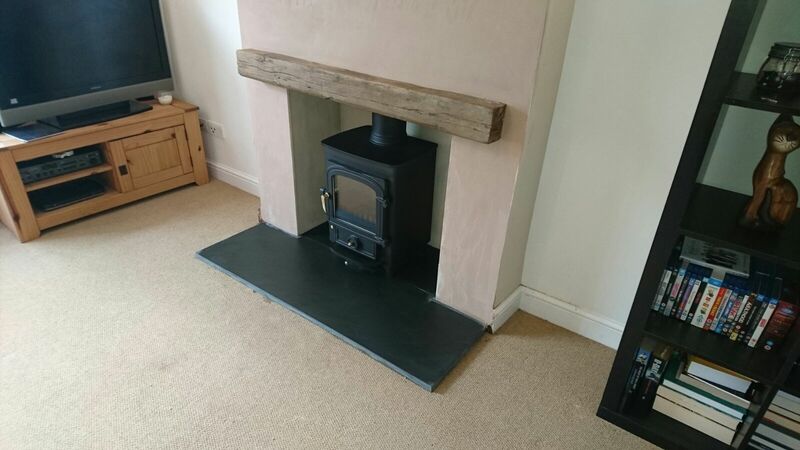 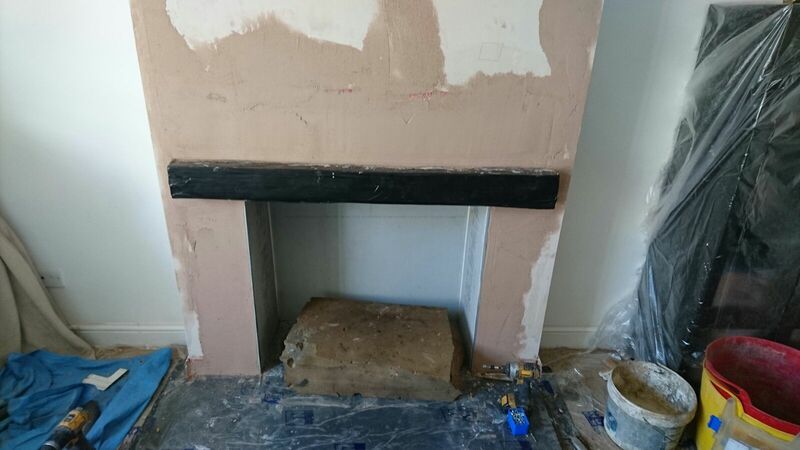 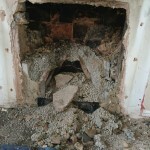 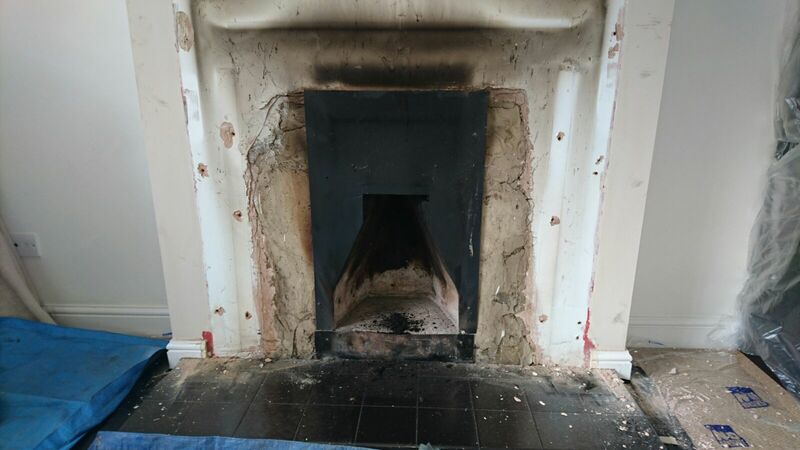 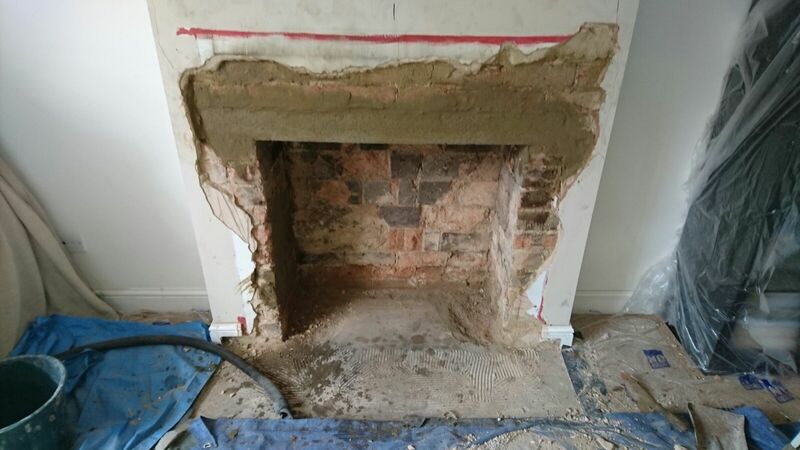 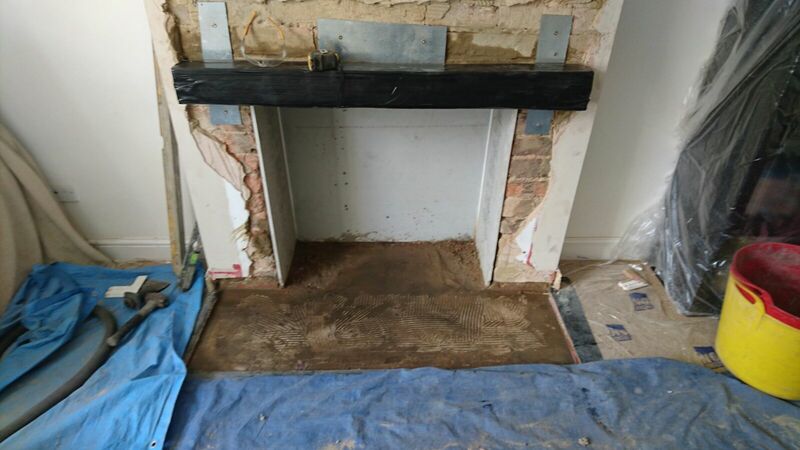 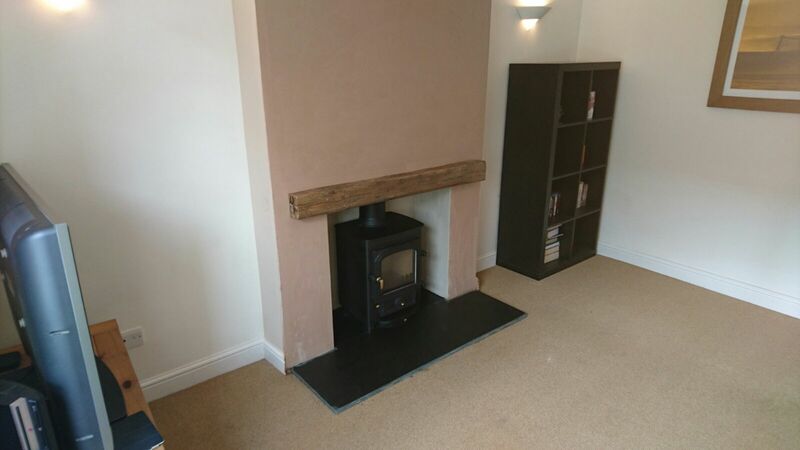 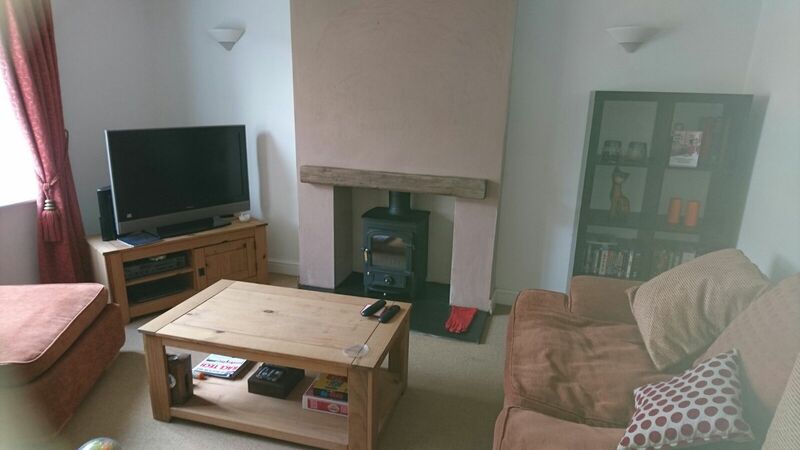 We started by removing the old surround, inset & hearth so this can be sold on to someone else, enlarged the recess to 3ftx3ft, installed a new concrete lintel for support & bolted oak beam to the wall & installed angle bar for closure plate & boarded out the recess with heat resistant boarding, laid new 2 piece polish slate hearth, removed old chimney pot to gain access into chimney & powerswept chamber clean, installed new 30yr liner, stove pipe, stove & gasket. 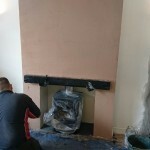 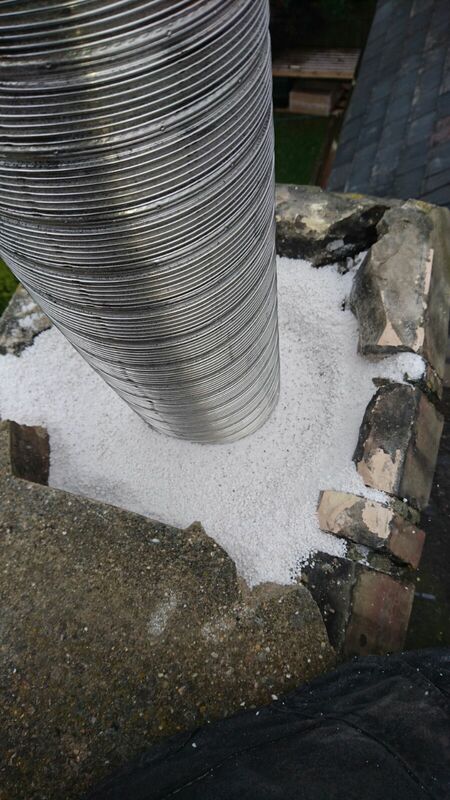 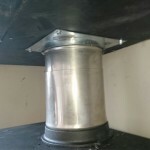 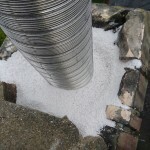 Insulation was poured down chimney void to insulate liner, plated off, clamped & installed new buff pot, Cowl with new concrete flaunching, painted out the recess with customers colour of choice & painted stove pipe & clamped off, Chimney breast was re-rendered & plastered to finish off this very clean, sleek & contemporary looking installation. 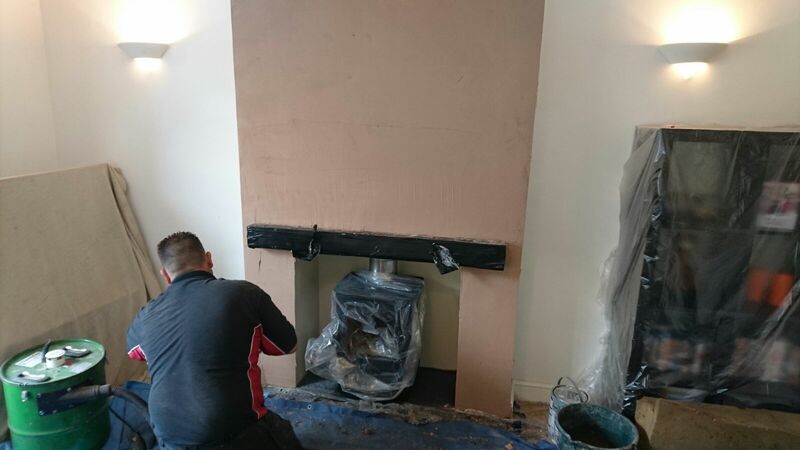 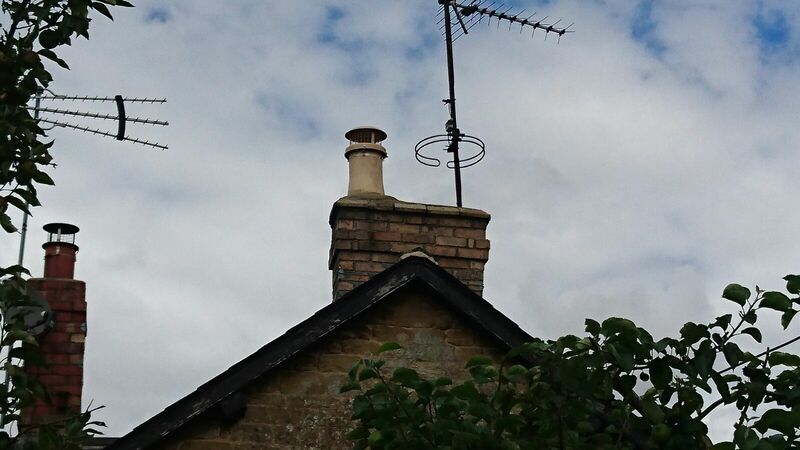 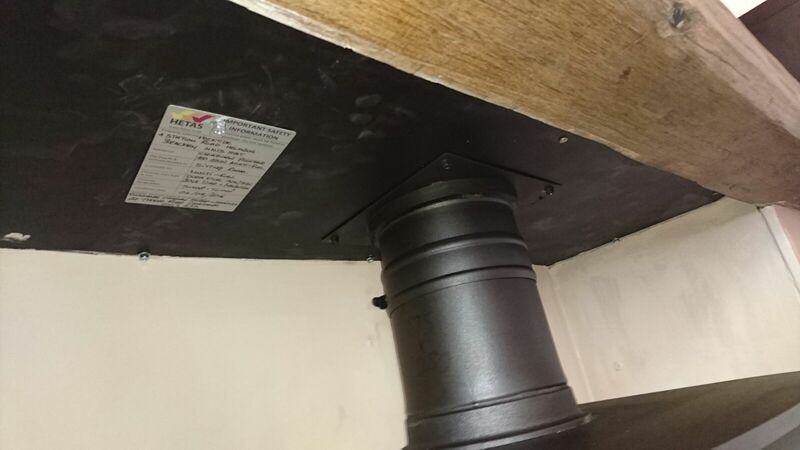 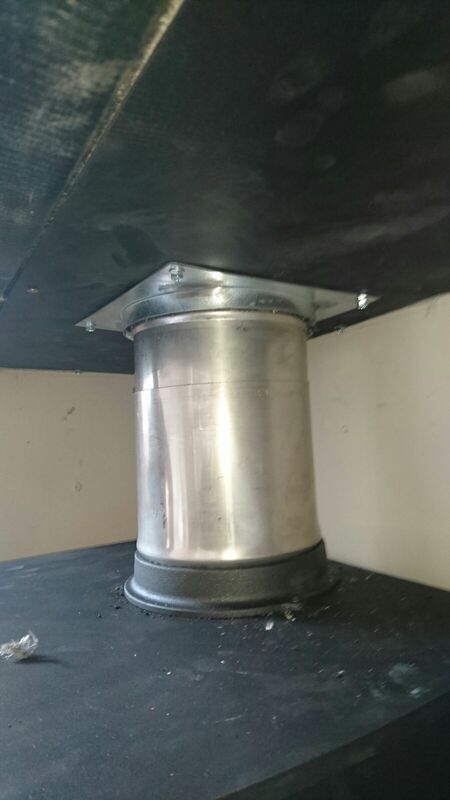 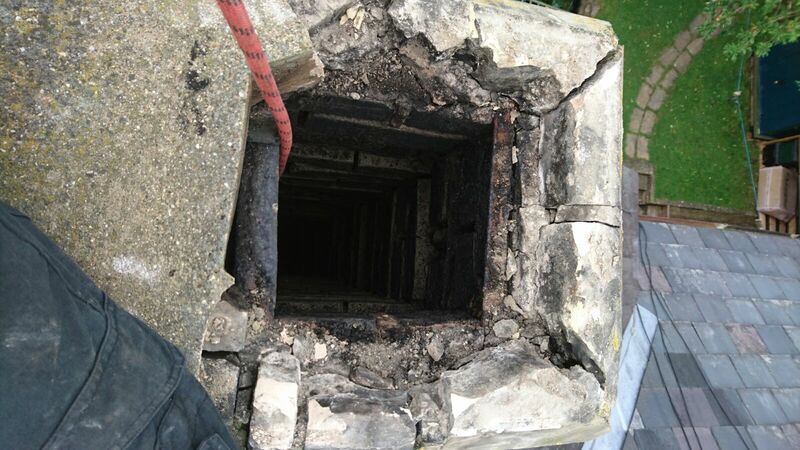 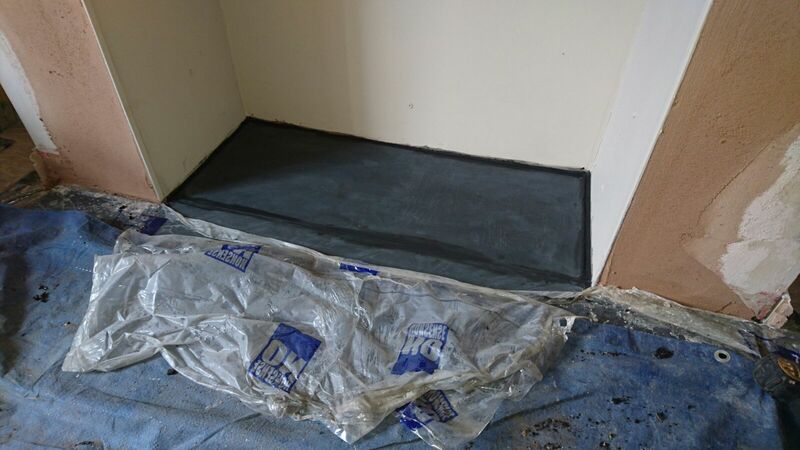 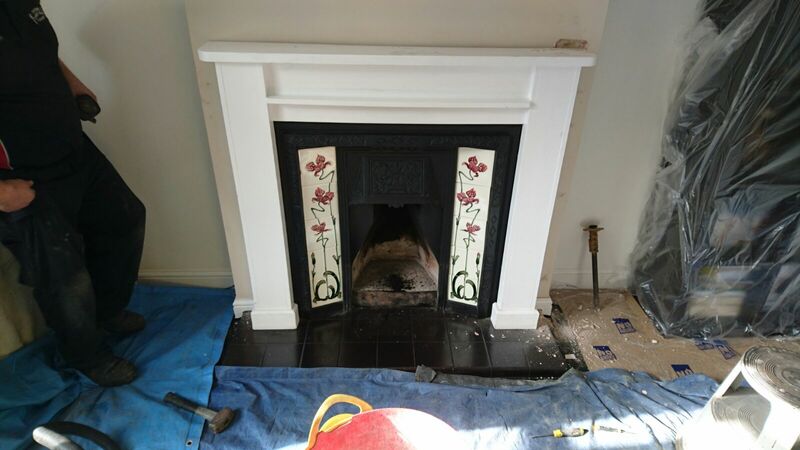 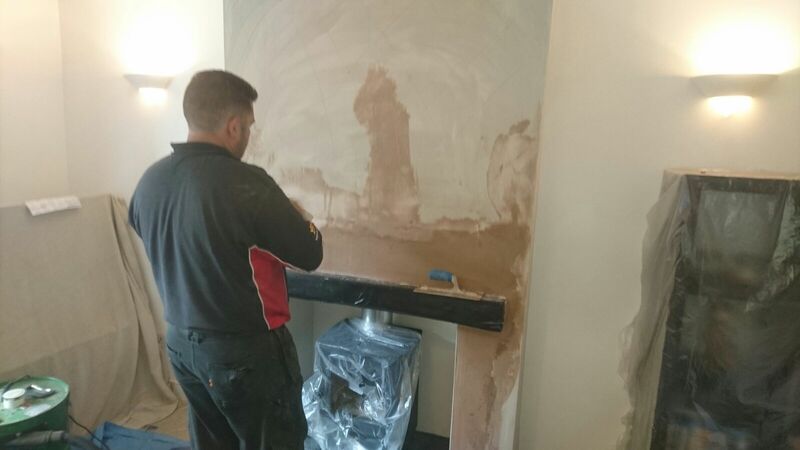 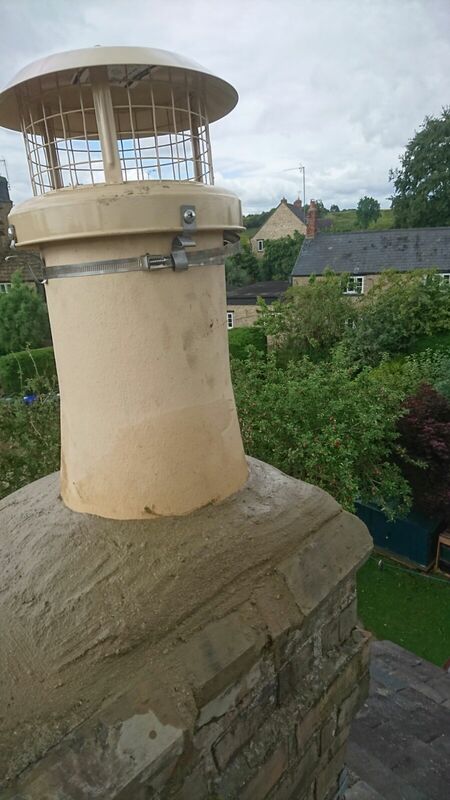 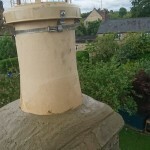 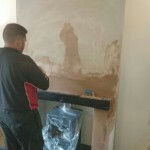 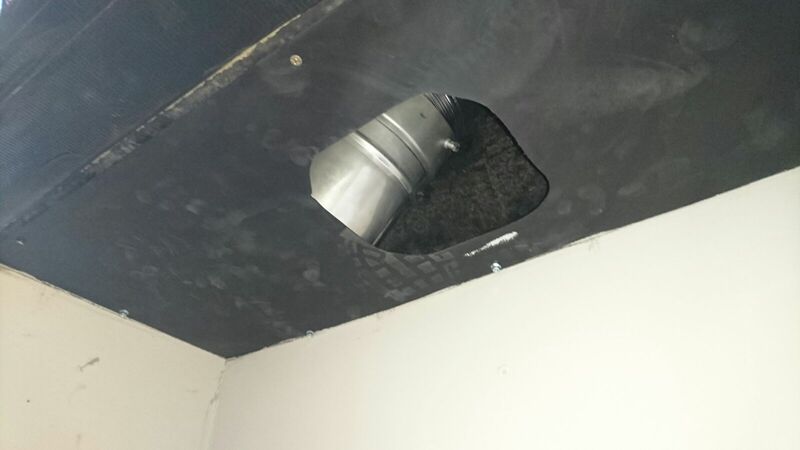 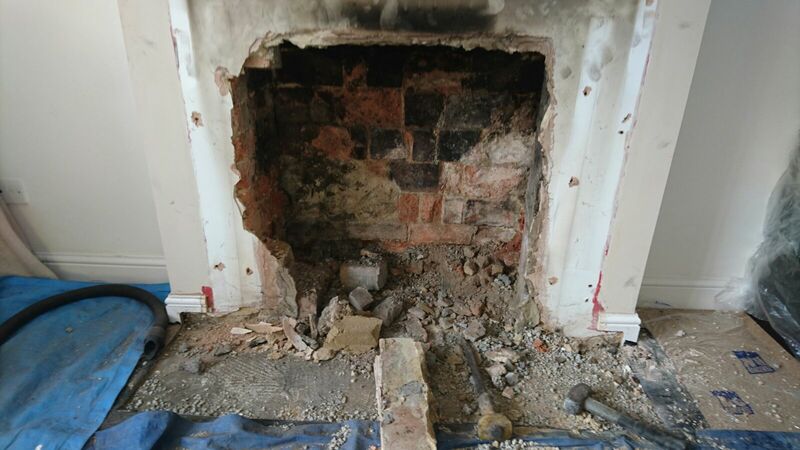 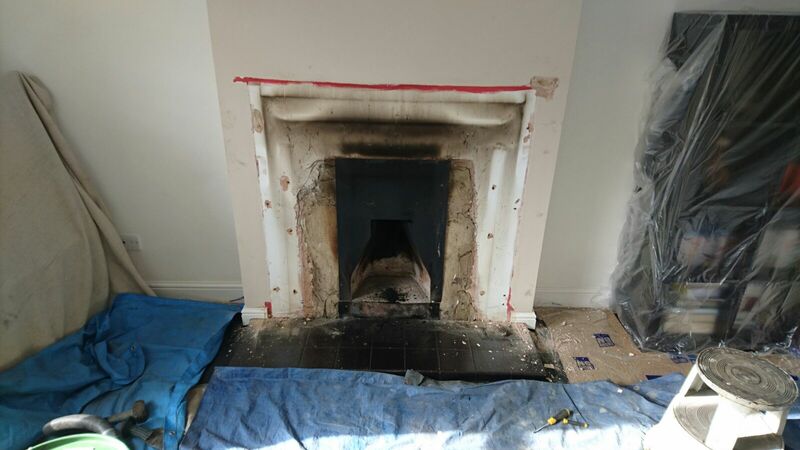 We are again very pleased with the installation & a pleasure to be asked by the customer to complete this installation on their behalf which they are extremely pleased with.